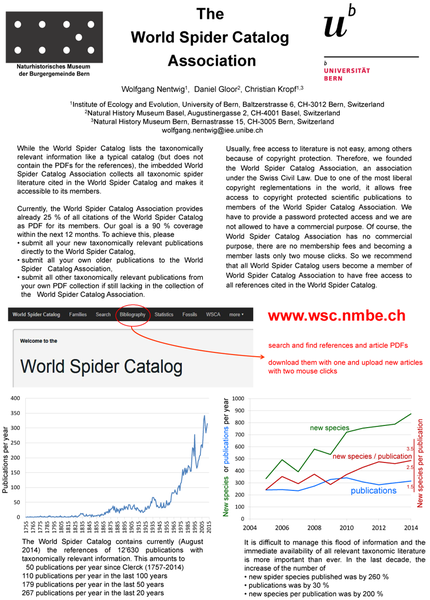 The current World Spider Catalog is the first fully searchable online database covering spider taxonomy. 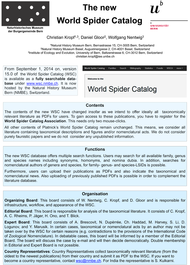 It considers all taxonomically useful published work. Unpublished statements – even if correct – will not be taken over here. 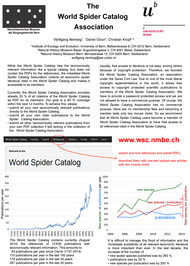 Also contents of websites that are not published elsewhere are not considered. Basically, it includes all descriptions of new species, transfers, synonymies and all taxonomically useful (i.e., illustrated) references to previously described taxa. Electronic supplements can be considered in combination with the corresponding main article. Not included are fossils (but see the separate fossil section), subfamilial or subgeneric divisions and allocations, or mentions of taxa in purely faunistic works (unless accompanied by useful illustrations). 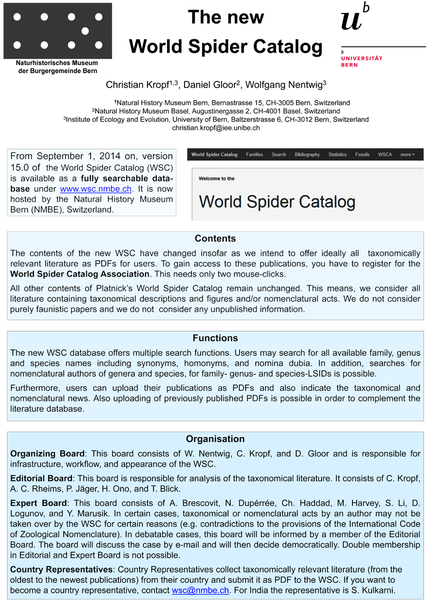 In certain cases, published nomenclatural or taxonomical changes will not be taken over by the catalog. This includes for example cases with violations of the provisions of the International Code of Zoological Nomenclature. In debateable cases (e.g. purely typological genus-splitting without phylogenetic reasons), an expert board will decide the case democratically. However, if some published alterations are not taken over by the catalog, the respective information and reference is given anyway.